Every serious DJ knows and appreciates the value of a good set of DJ speakers. As a DJ, you love playing your music loud and always enjoy hearing it blasting clearly from the speakers. Nobody will enjoy what you play if you cannot crank up the volume fearing the distortion of the sounds. Picking the perfect set of DJ speakers may not be that easy. The market has many brands that make different models and all claim to be the best makers of speakers for DJs. Therefore, making the right choice will require you to distinguish the true players in the market from the false. Most importantly, you need to do your homework to know what to expect from pro audio sound systems, major on the basis. In light to that, below are some things you should know when searching for the best DJ speakers that meet your needs. Always go for high-end DJ speakers. 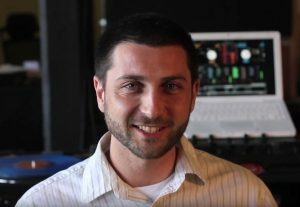 It is common to come across many speakers that have a studio monitor style, which may be worth considering if you also are planning to try your hand in EDM production. But keep in mind that studio monitors will not work for your DJ gigs primarily because these speakers are designed to offer an extremely accurate playback output at moderately low volumes. 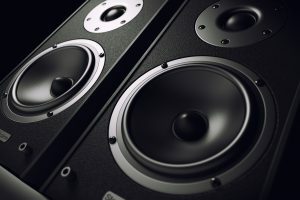 Some studio monitors produce a good sound when playing at high volume, but nearly all fail to sustain playing very loud music for an extended period since they are not designed to handle such an output. PA speakers are the other common options found when shopping for pro audio systems. Unlike the studio monitors, the PA speakers are several levels higher when it comes to playing loud music, especially in big rooms. As such, PA speakers are a good choice that meets a DJs needs and expectations. You have two options when it comes to PA speakers: the active and the passive type. The passive PA speakers are cheaper that the active ones, hugely because they work in conjunction with the use of an amplifier. So, they would be the perfect pick if you own a powerful amp which will see you save a few dollars. If you do not have such an amplifier, then you should consider getting the active PA speakers. The have built-in amplifiers but they may not suit the needs of a DJ since cranking up the volume will require you to turn a knob on the speakers. Such a hassle may not suit a gig where the music is to be played at low and high sounds outputs. But they will work if you do not need to make further volume adjustments which do require you to have proper gain staging techniques. What is in a name? That is a question that you should answer as you consider the different brands of DJ speakers in the market. Well, the name is what will guide your choices mostly if you already are familiar with the names associated with pro audio and Dee-jaying equipment. Mackie and Yamaha are two examples of the known makers of a wide range of super-quality pro audio equipment while brands such as JBL are synonymous with high-end speakers. Other notable names worth a mention include Behringer, Electro-Voice and Seismic Audio. The mentioned brands are known to make PA speakers that meet different needs and come with different price tags. If you are keen on good for brands associated with making quality audio gear and equipment, then price should not be a primary concern. Why settle for cheap knock-offs that will underperform and dent your reputation and brand as a DJ!